I make no apology for posting about Kihachi again. 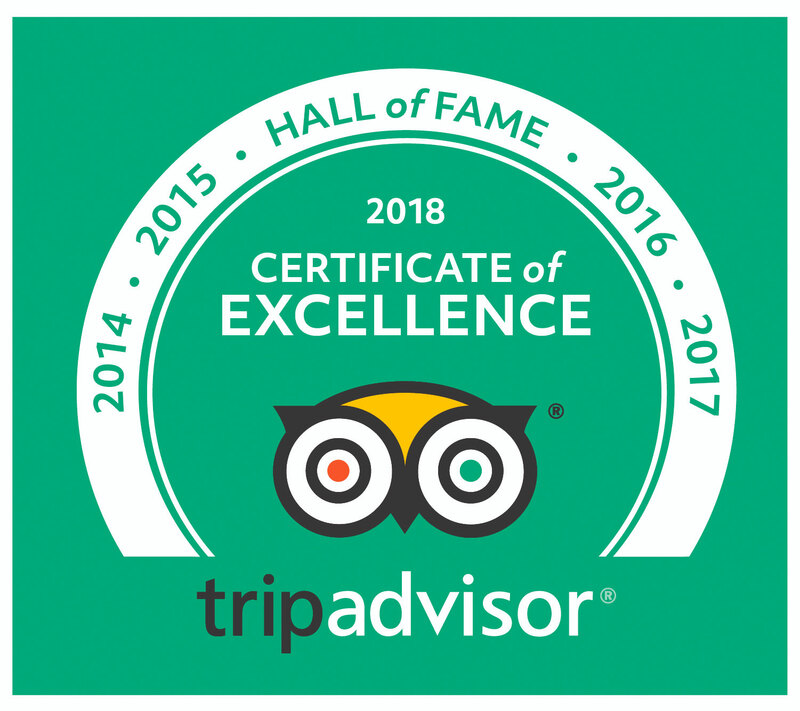 I started writing this blog to record and share food experiences that excited me and every time I go to Kihachi I experience something new and wonderful. The food is so beautiful that I can’t resist taking photos and blogging allows me to remember and relive the meal. I love putting myself in Chef Mike’s hands, not knowing what will appear, but having the confidence that it will be at worst (rare) an interesting experience and at best (often) mind-blowingly delicious. Kihachi is my first choice for special occasion dinners and as this was such an occasion, we treated ourselves to omakase and took up our favorite seats at the bar where you can watch the food being prepared and gaze in wonder at the knife skills and calm attention to detail. The first course was a trio of dishes. From left to right: flaked salmon with grated daikon radish, greens and salmon roe and a ponzu dressing; grilled pork cheeks; Sea urchin (uni) poached in sake and mirin and served with lemon rind. The salmon dish was very refreshing, almost palate cleansing. The uni had was delicate in texture and flavor. I have never had it cooked before. I loved the citrus accent and it was one of my favorite dishes of the evening. Next was a sampler plate with many Kihachi favorites: salted fried burdock root, bamboo root, pumpkin, potato, shrimp, ginkgo nuts, duck breast, seaweed and a baby octopus. As with the trio, it was hard to know what to eat first. 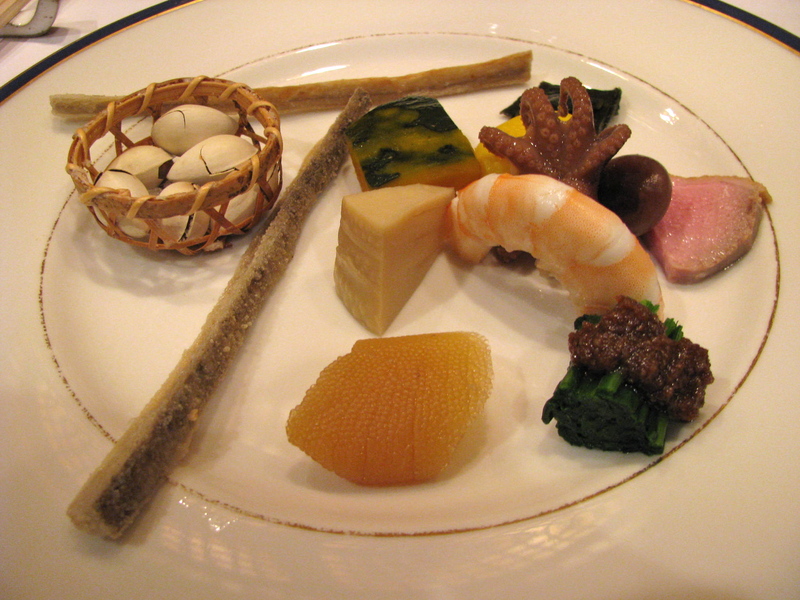 Front and center is a piece of kazunoko (pickled herring roe) which has a pungent salty, fishy flavor. Bottom right is some dressed spinach with a sesame sauce that tasted almost like peanut butter. I would have liked a jar to take home. Next was a soup course. 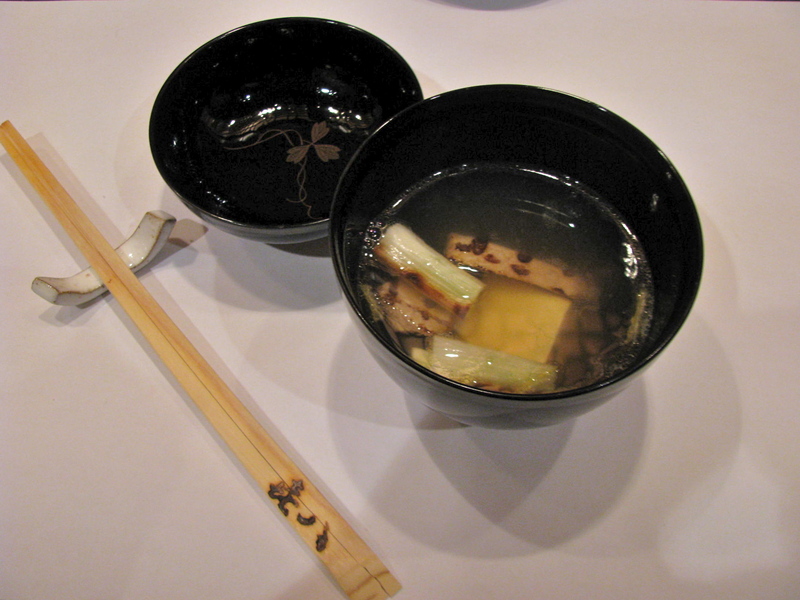 A delicate extremely clear broth with grilled toro (tuna), grilled scallions and silky tofu. 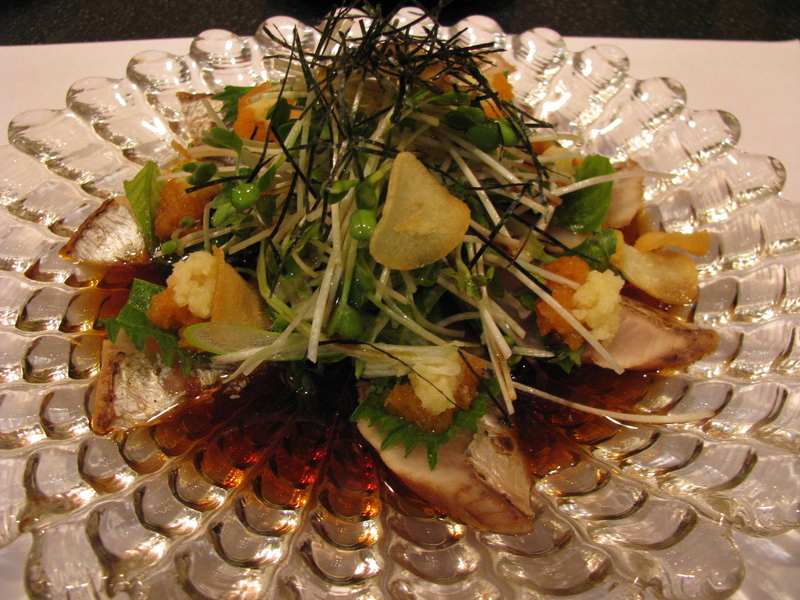 The salad that followed was lightly grilled amberjack with shiso leaf, marinated daikon, ginger, garlic chips, micro-greens and a nori garnish. Visually stunning and an interesting but not completely compelling combination of strong flavors. I found the garlic chips slightly overpowering but I enjoyed the ginger and shiso pairing on the fish. The next dish had a much more subdued flavor. This was tilefish with a stew of vegetables and mushrooms. 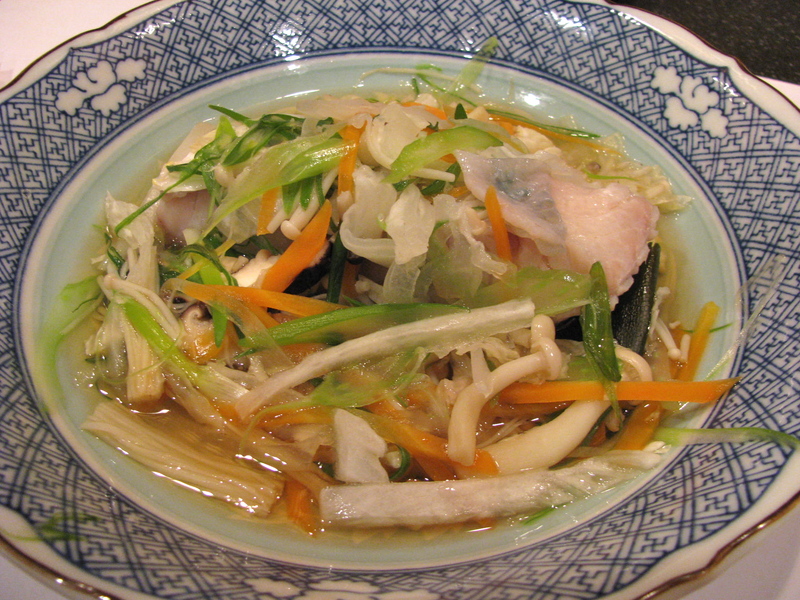 The fish was rich and buttery especially contrasted with the vegetables and broth which were light and mild. 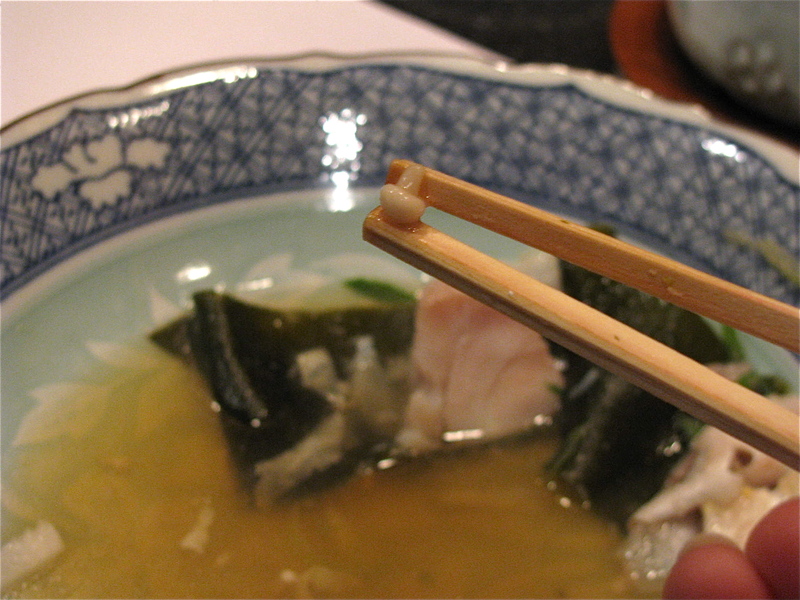 Some of the enoki mushrooms were tiny. 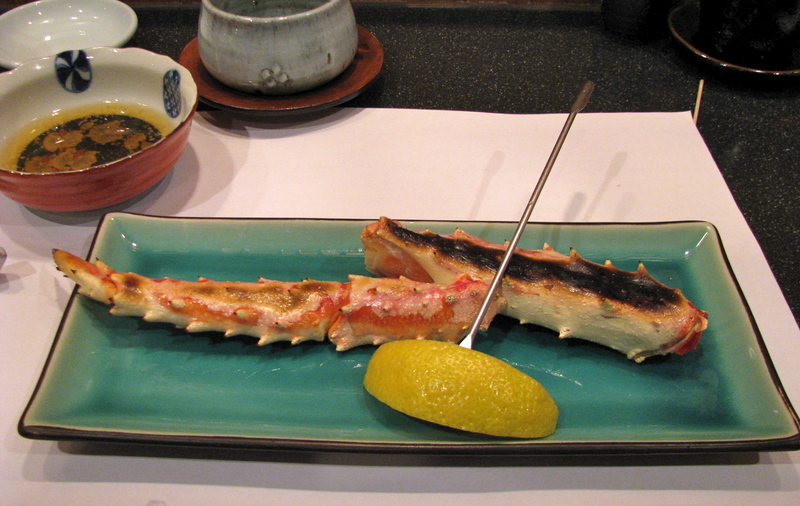 Next was a grilled crab leg served with a dipping sauce. The shell was already broken on the underside so it was easy to pick out the flesh. Next was one of the highlights of the meal. 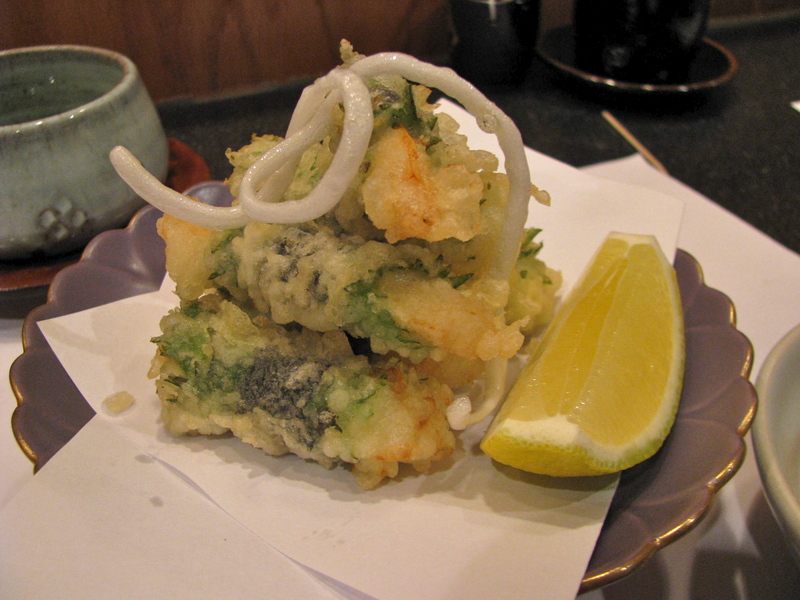 Shrimp wrapped in shiso leaf, wrapped in nori and fried in tempura batter. It was served with salt and dipping sauce. Having tempura elsewhere the week before the contrast was notable. 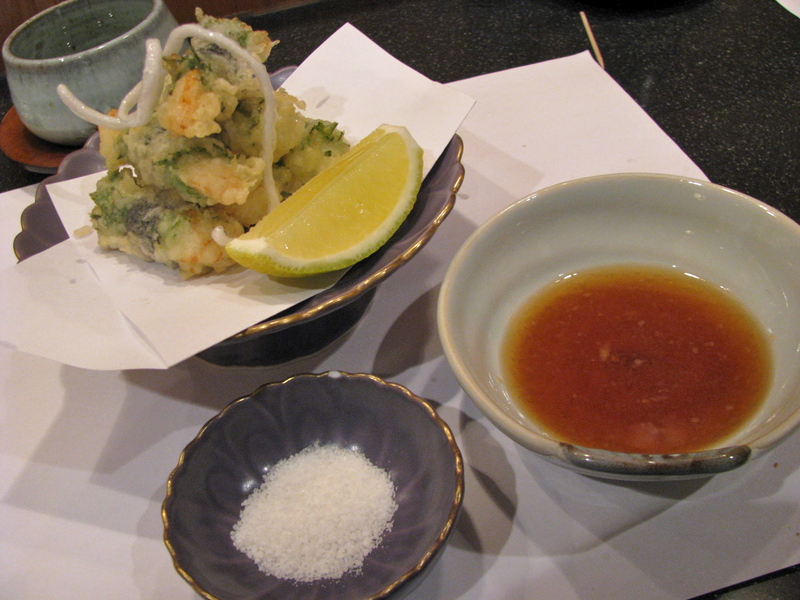 Kihachi’s tempura batter was so much lighter and crisper, almost transparent. The flavors worked wonderfully together and this is a dish that I will crave. I never tire of watching the action in the kitchen. 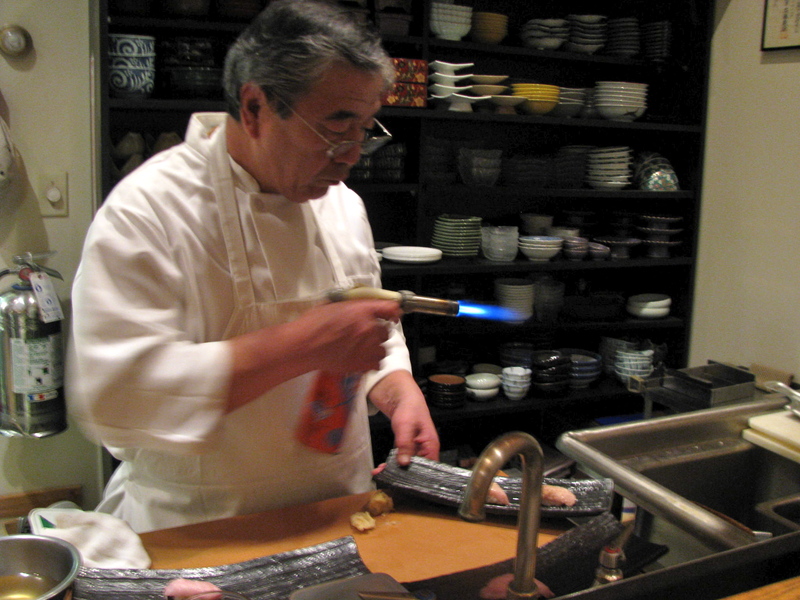 We watched Chef Mike carefully select and slice some otoro tuna, form them into nigiri and then reach for his blow torch. 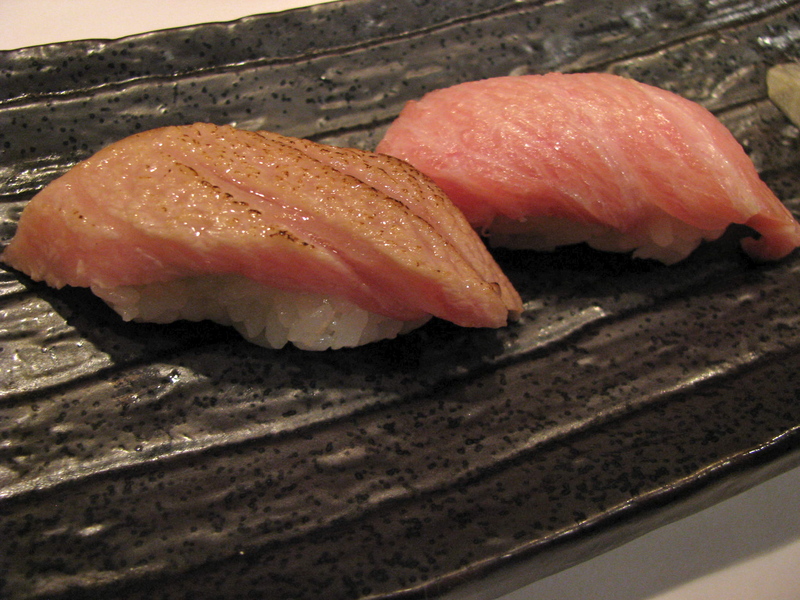 We were served two pieces of otoro nigiri sushi, one raw and the other slightly charred. Chef Mike explained that this was just to render a little of the fat. You can see how fatty and marbled this tuna was. Melt in the mouth. He asked us which we preferred – we both said raw, although both were sensational. As always, the meal ended with a dessert. 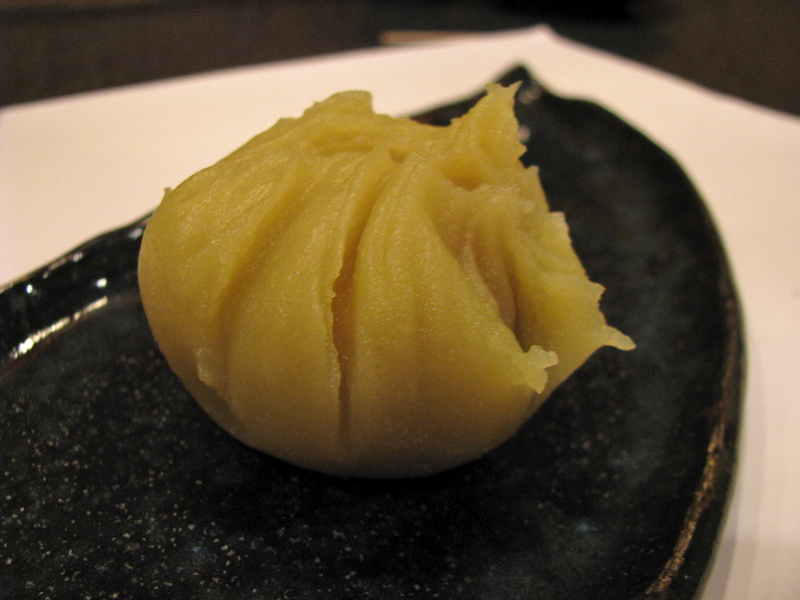 On this occasion a large chestnut encased in a chilled, rich sweet potato puree. I should note that it is also possible to order a la carte. Most of the dishes on the omakase are also found on the menu so you don’t have to commit to 9 courses. 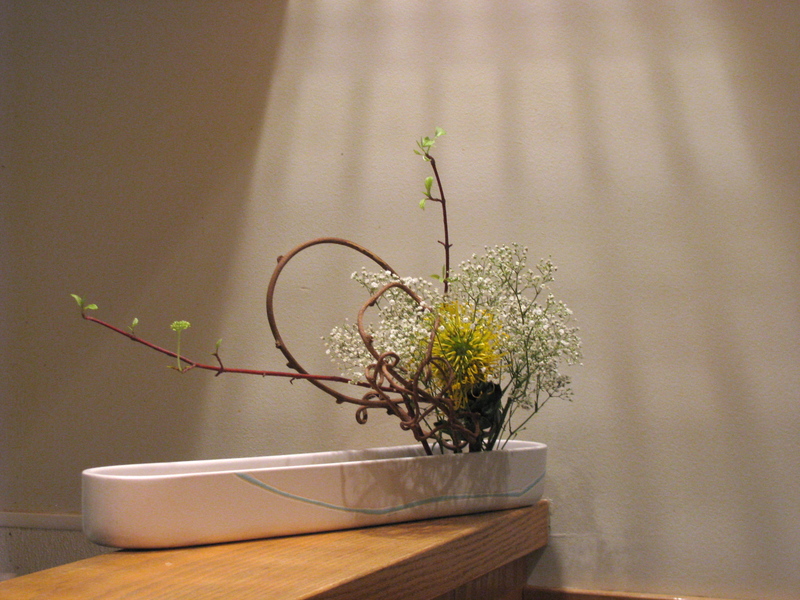 The quality of the ingredients and the skill and care in their preparation puts Kihachi into the top echelon of Columbus restaurants. I cannot recommend it enough. If I was not allergic to fish I would eat here more often so I could fully appreciate the menu. Everything I have had at Kihachi has been excellent. Can you share the cost of omakase please? I’ve been meaning to go to Kihachi and order omakase but the unknown price is intimidating. The cost was in the $85-$90 area, drinks excluded. Not cheap by any means, but a solid value nonetheless. Do you mean $85-$90 per person? Yes, and it is definitely worth it. You can order off the menu as well. Looks fantastic, Bethia. Paul and I have been meaning to go for ages now, and you’re making it harder and harder to resist. Even though some of those dishes are a bit out of my comfort area, I’d love to go for the experience – nothing ventured, and I’m always willing to try something at least once. Thanks for the recap of what looks like a wonderful and memorable meal. 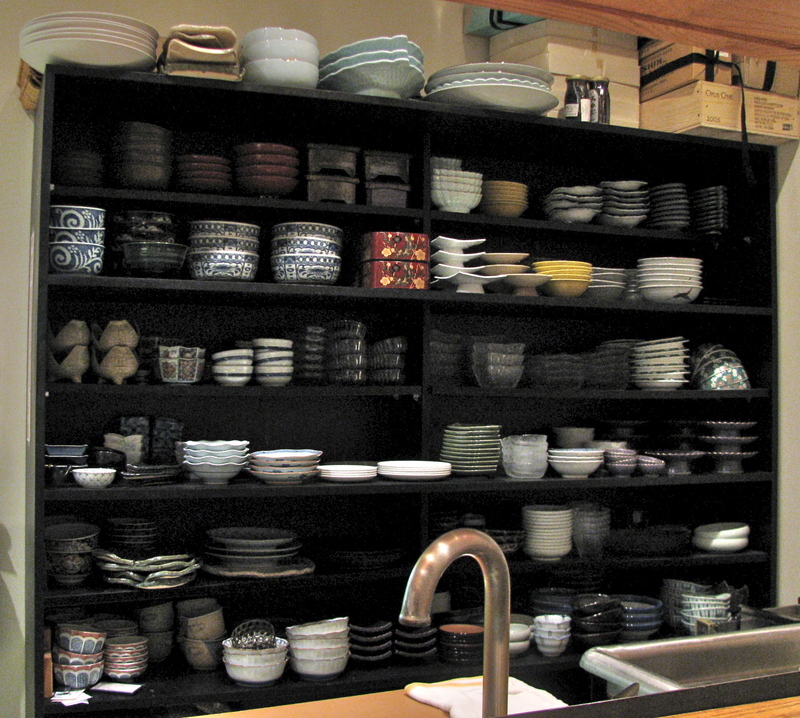 The Asais wonder if Chef Mike trained at the famous Kihachi restaurant in Ginza.